Wow, I had a super productive month! 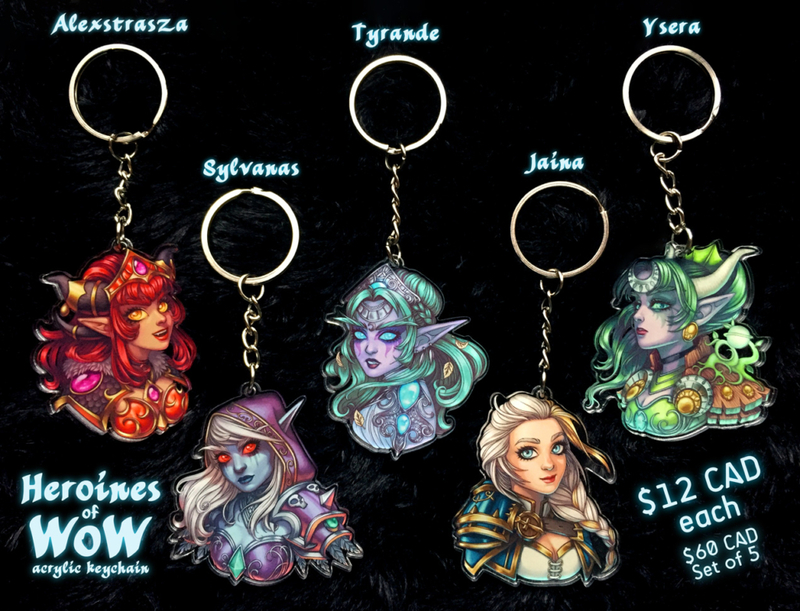 I opened my online shop selling my Heroines of WoW Keychains, and I’m happy to say it was a huge success! I sold out of Sylvanas and Jaina within the first two days, and I’ve been working hard all week prepping the orders for shipping. I still have some keychains left, so check it out at by clicking on the image below! 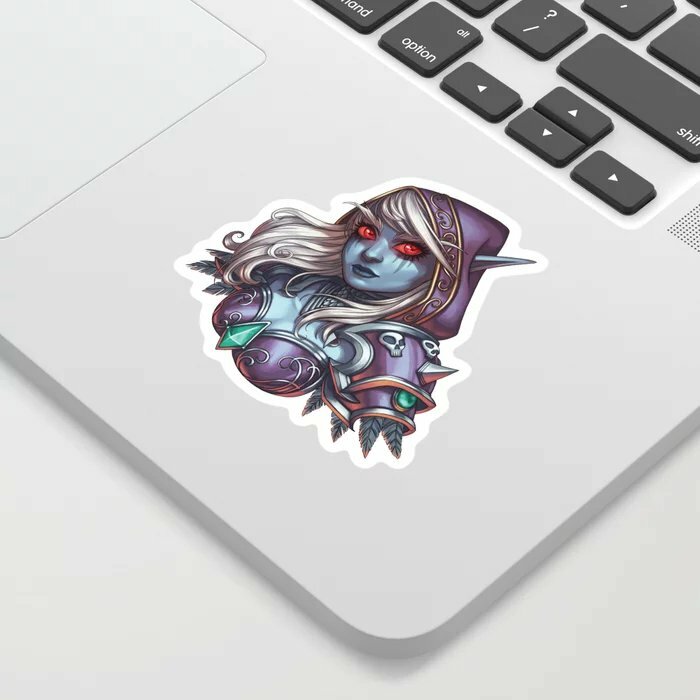 I’ve also had a record-high sales month on my print-to-order shop, since I added the Heroines of WoW designs as stickers. I decided to do print-to-order for the stickers instead of printing and shipping my own, because the profit margin is so, so low for stickers. I just can’t justify paying so much to get them made and not recoup those costs selling them. If you’re interested, click the image below, they have sales all the time so wait for a sale if you can! Another thing I did at the start of this month is I took a week’s vacation and spent it working on some new portfolio pieces. 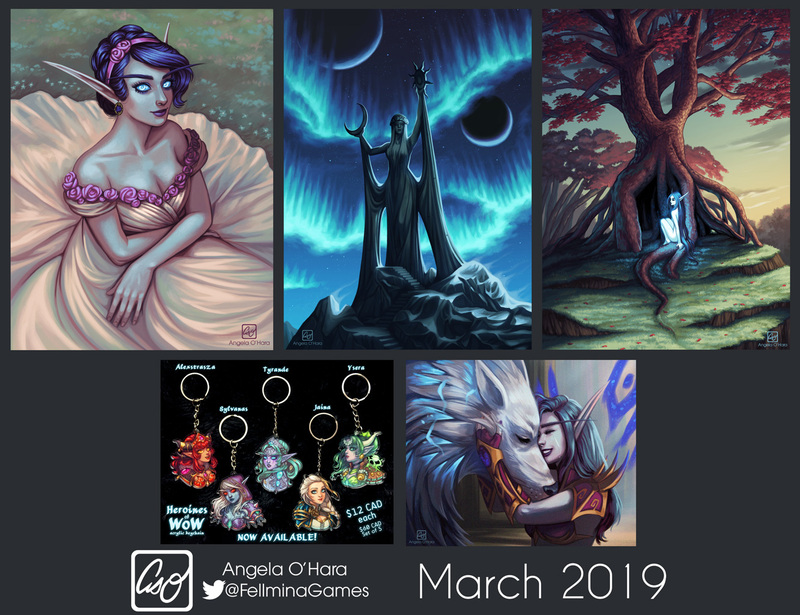 In addition to the Dragon Prince fanart from last month, I finished 3 new digital paintings that really help my portfolio level up. I wish I had more time to do art, when I do have time my skill level shoots up. The art I do at my day job pays well, but it doesn’t challenge me at all. I’m in a really good spot and I hate to complain when I occupy such a position of privilege, but it really is a tough balancing act trying to make time for everything! What I’ll be working on for the next little while is under NDA, but I can say I am working on a really cool piece for a tabletop RPG project, and I am doing a piece for the Warframe fanzine. It’s daunting having such big pieces to complete, but I’m gonna work hard and crush my deadlines!